Both fairs opened in conjunction with the Getty's Pacific Standard Time initiative: Art in LA 1945-1980, an unprecedented collaboration of more than sixty cultural institutions across Southern California, coming together to tell the story of the birth of the L.A. art scene. Organized through grants from the Getty Foundation, Pacific Standard Time will take place for six months beginning October 2011. Many booths at the fairs were showing art to reflect an L.A. theme: glamour, L.A. living, the "Hollywood" lifestyle. Take, for instance, the photographs by Lluis Barba. He visually edits well-known paintings, layering them with photos of celebrities, art dealers, and tabloid sensations, to highlight the relationship between the past and present as a commentary on contemporary society. Sizes range as well as the prices. But a small 40"x50" photo starts at $7,500. 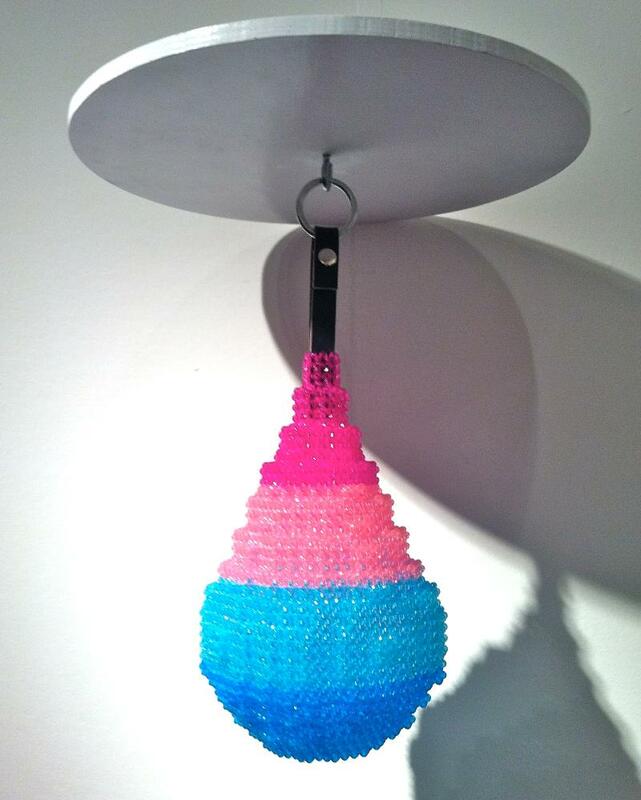 Argentinean artist Roman Vitali has a great sense of humor, creating gym equipment out of beads and fishing line. Dumb bells, jump rope, yoga mat and boxing bag complete his exercise regimen and can be sold separately or as a whole installation. Another fun artist full of wit is William Powhida. Previously an art critic, Powhida's work reflects his critical background while he develops his artistic practice. His focus is on the fascination we have with the politics of access and power. 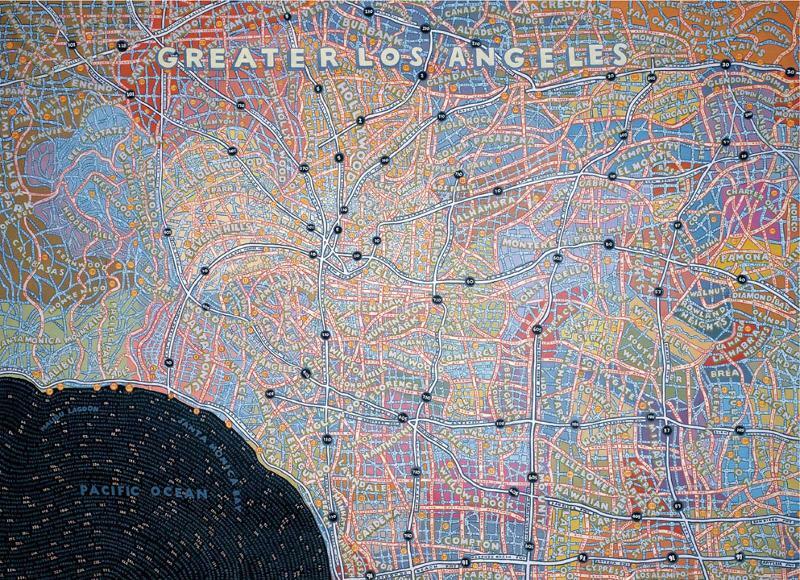 His print of "The LA Makeover Chart" is a hilarious reminder of how to keep track of appearances on the West Coast for a mere $1,800. This is part of an edition of 30. Rachel Hovnanian takes beauty a step further, pointing out society's obsession with it and the corrosive power of its trappings. 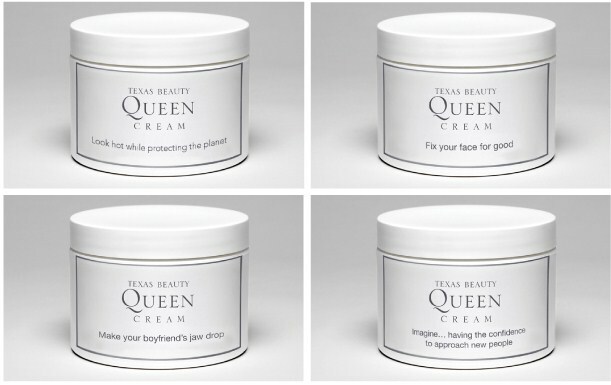 She uses actual sayings from magazines on her fictitious face cream jars, creates beauty queen trophies, and preserves flowers in small botox-filled bottles. Artworld mainstay Ed Ruscha was ever present. His prints from the Petroplot series give us images of the desert landscape that are affordably priced around $6,500. 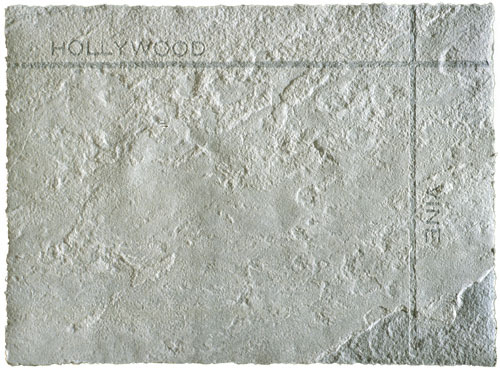 They are from an edition of 75 and highlight the quintessential intersections of Hollywood and Vine, Sunset Boulevard and the PCH, Laurel Canyon and Ventura Boulevard, and Pico and Sepulveda. Kelly Reemtsen's work remains consistently good. 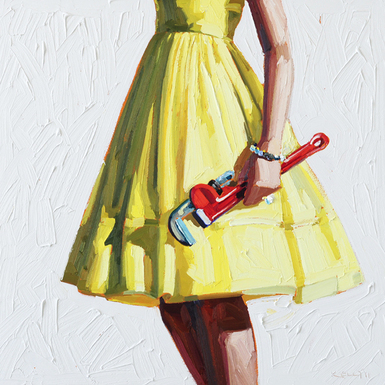 Her portraits of anonymous women from the 1950s and 60s wielding heavy machinery and tools have multiple interpretations. These figures would unlikely be engaged in the work they portray, suggesting more ominous intentions. She branches out now into 3D, bringing some of her paintings to life, once again giving her femme fatales some relief. 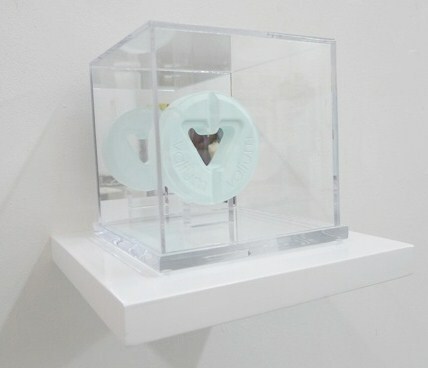 Kelly's small sculptural pills in dioramas go for approximately $1,800 each. 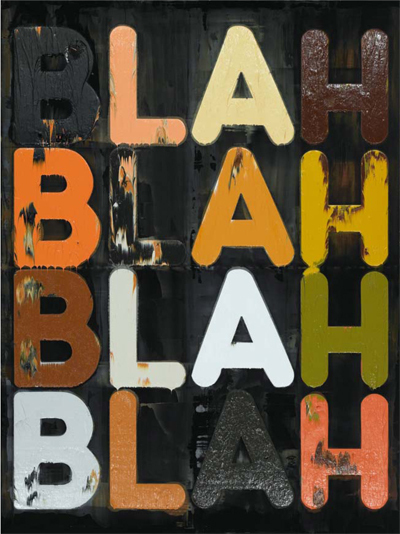 Of course there are the steadfast truisms from Mel Bochner: Blah Blah Blah and Money Money Money, among others. Originals of these works, which are engraved, embossed and hand dyed, go for $75,000 and $15,000 respectively (on account of size and medium). 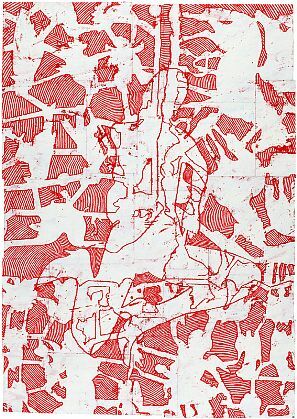 Editioned etchings go for less. Other notables at the fair were Bo Joseph's works on paper that have gotten larger recently and more powerful. He is incorporating more shapes and depth into his art, using abstraction to explore mythologies, world views and various cultures. He uses oil pastels, acrylic and tempera on stencils to transcribe and layer his silhouettes of graphic art. 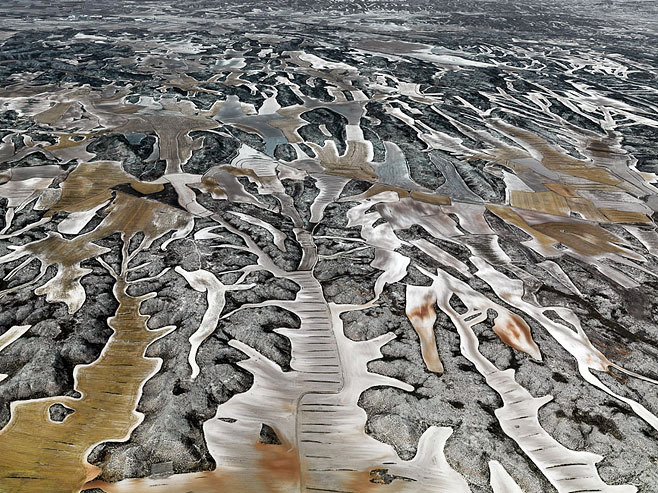 The phenomenally detailed photographs by Ed Burtynsky are getting more painterly and more abstract. His aerial shots of highways and quarries remain stunning and impressive. 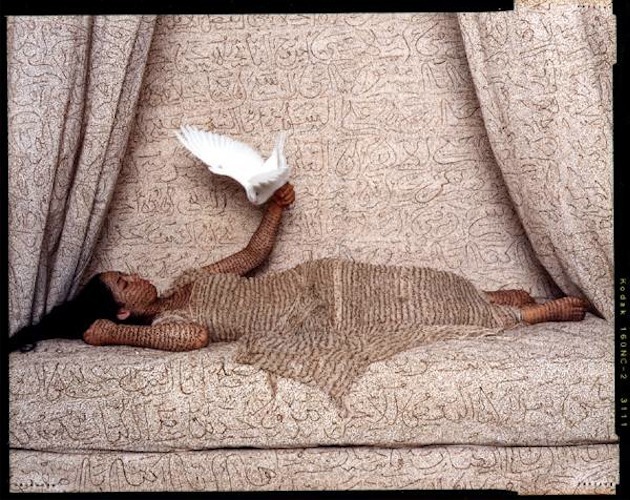 Lalla Essaydi takes beautiful photographs of Muslim women, blurring the lines of the henna tattoo with the image of the figure. The works incorporate the changing and complex female identities found in Morocco and throughout the Muslim world. Territories" and "Les Femme du Maroc" series are available to be printed in three different sizes and are priced accordingly, with the largest size priced just under $25,000. 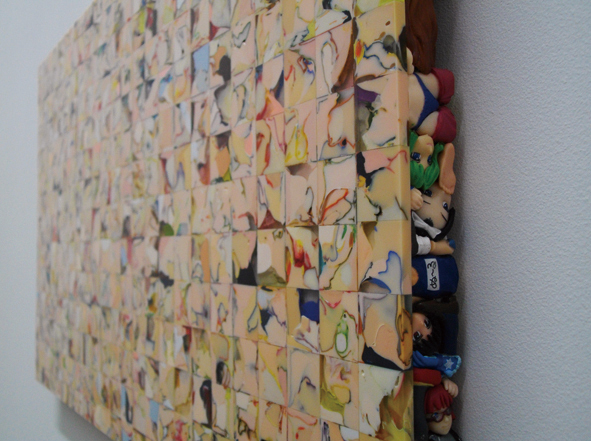 From Japan came an artist named 3 (three) who melted plastic dolls to create an interesting mottled affect from the front while maintaining layers of the remains of the dolls from the back and side. Girls, hide your barbies! Tim Berg and Rebekah Myers work together to conjure up wishful thinking behind their glazed ceramic wall sculpture. A Klondike bar, half eaten, reveals a golden nugget in All That Glitters. 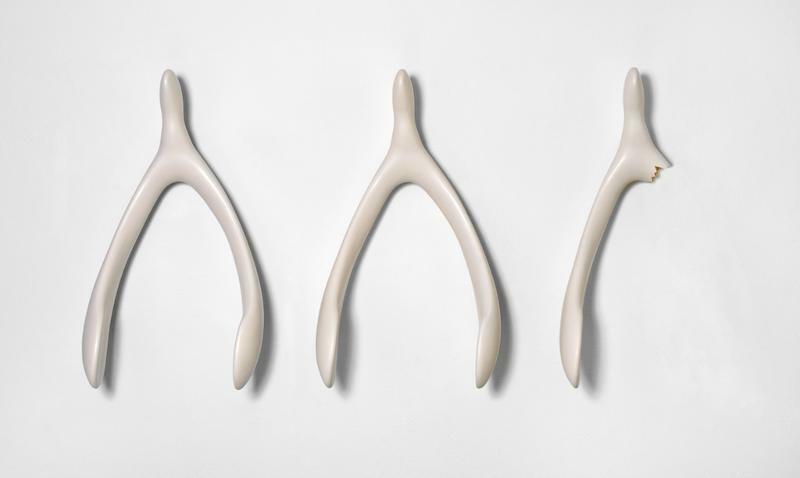 The wishbone, broken for good luck, allows us to think we have some sense of control over the uncontrollable. Works are priced extremely well, under $20,000. Sculptures are all hand made in editions of 5. Laurie Lembrecht is a special photographer; she used to be the studio assistant for Roy Lichtenstein. Her photos document his process and chronicle his work in the 1990s. If you can't own a real Lichtenstein, then buy one of these photographs. They are gorgeous and tell the story of the man and his work. 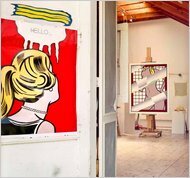 Her images are also featured in a newly published book, Roy Lichtenstein in His Studio. 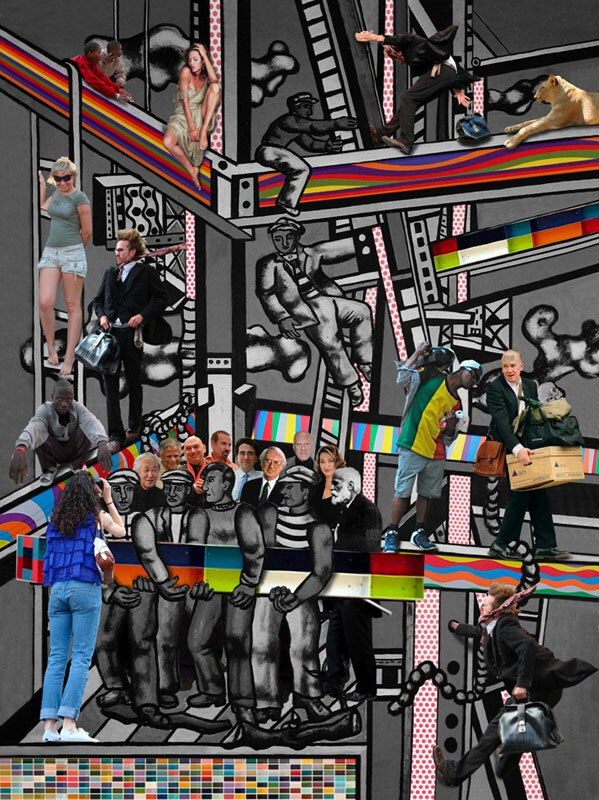 Grey Area is a fantastic resource for "art" that was at the PULSE fair. It's a pop-up store or undefined space, where design and art come together, reflecting the sensibility of the locale. 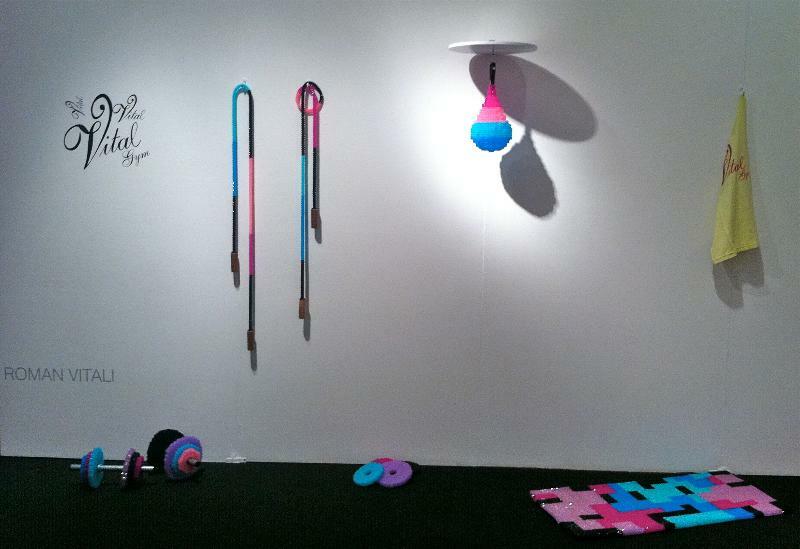 Young artists create functional art, such as jewelry, accessories, or wall sculpture that may not fit into the traditional art-fair boundaries. All are at affordable prices so if you can't walk out with a huge painting, you can still leave the fair with a work of art. Prices vary according to artist and size of work. Work is available by all of the artists mentioned above. Please contact tag-arts if you are interested in seeing more work by a specific artist.